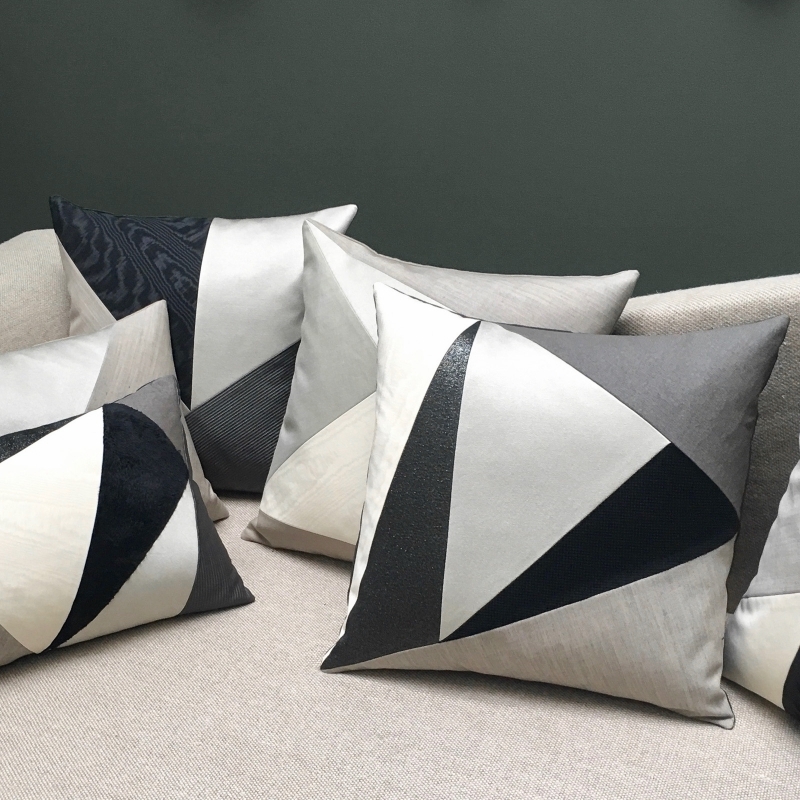 This model is original for its 6 fabric pieces assembled in a geometric pattern for incisive design. 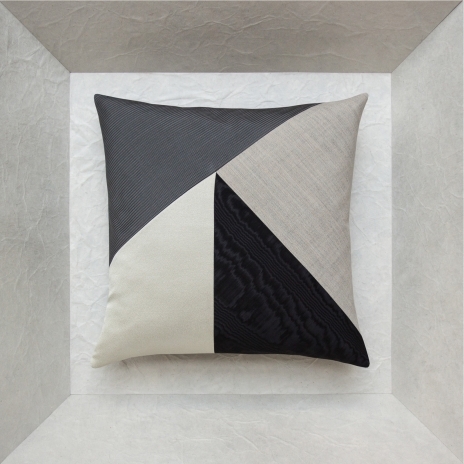 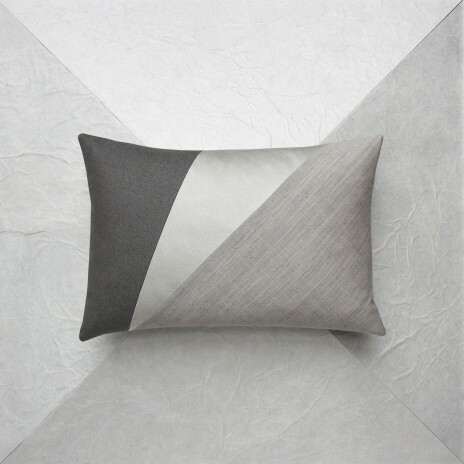 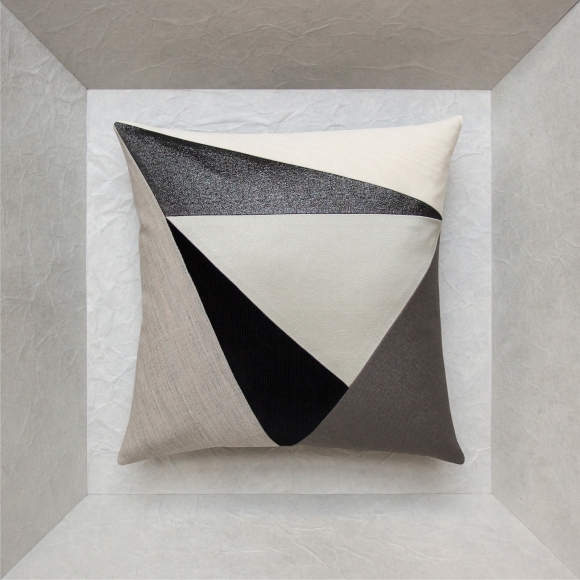 Its colorful unity and contrasts make this unique cushion a central element in interior decoration, whether alone in the center of a sofa or combined with another cushion in minimalist shades. 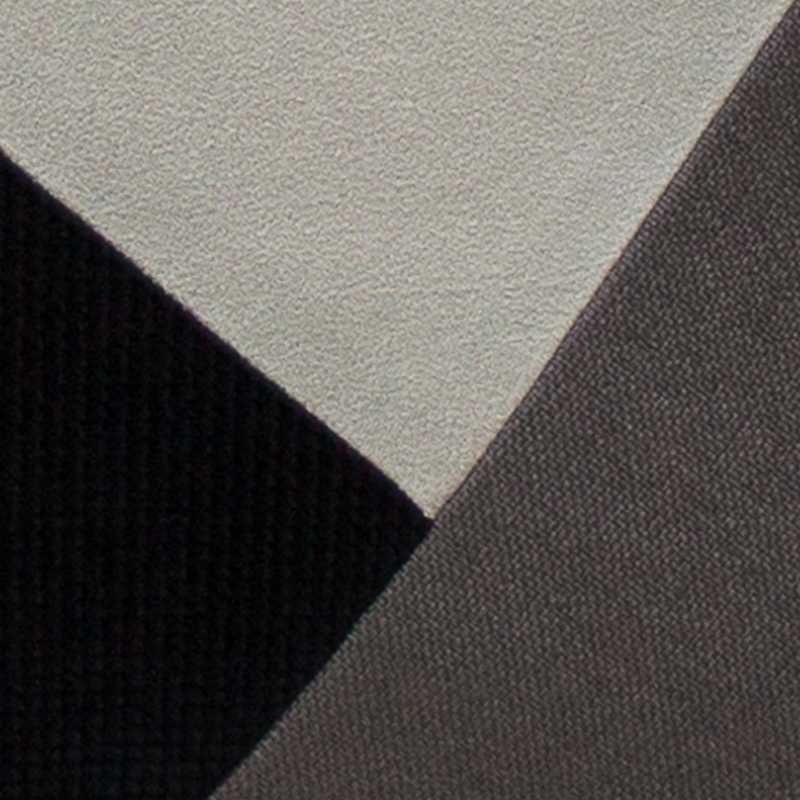 Devilish! 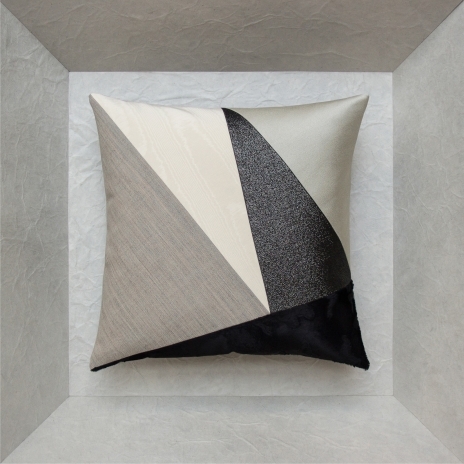 Ivory cotton and viscose moire, clay gray satin polyester, black silver cotton and polyester lamé, embossed black caviar cotton velvet, light khaki washi fabric and raw wool twill. 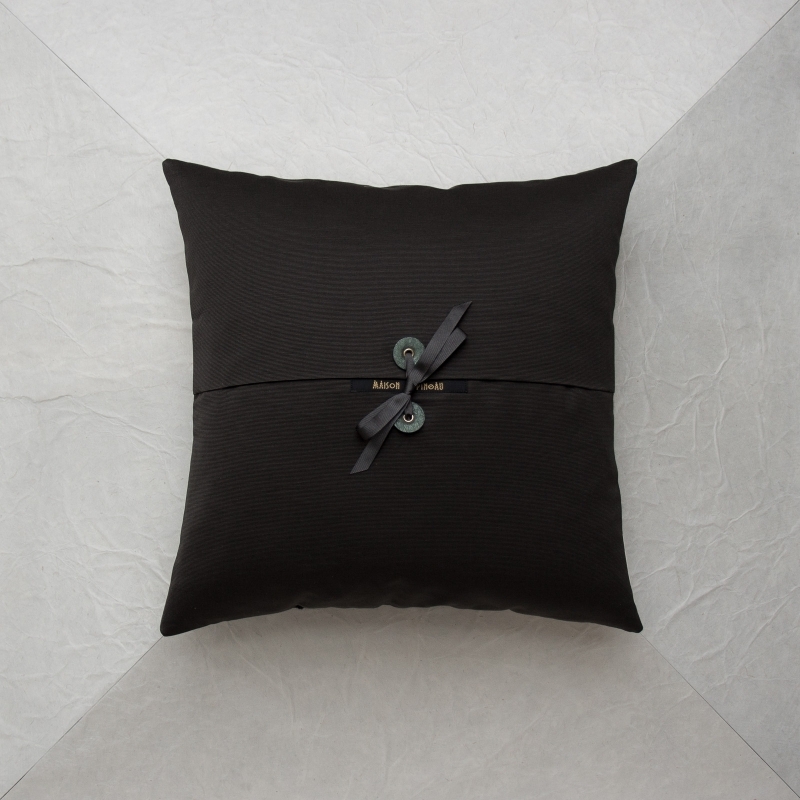 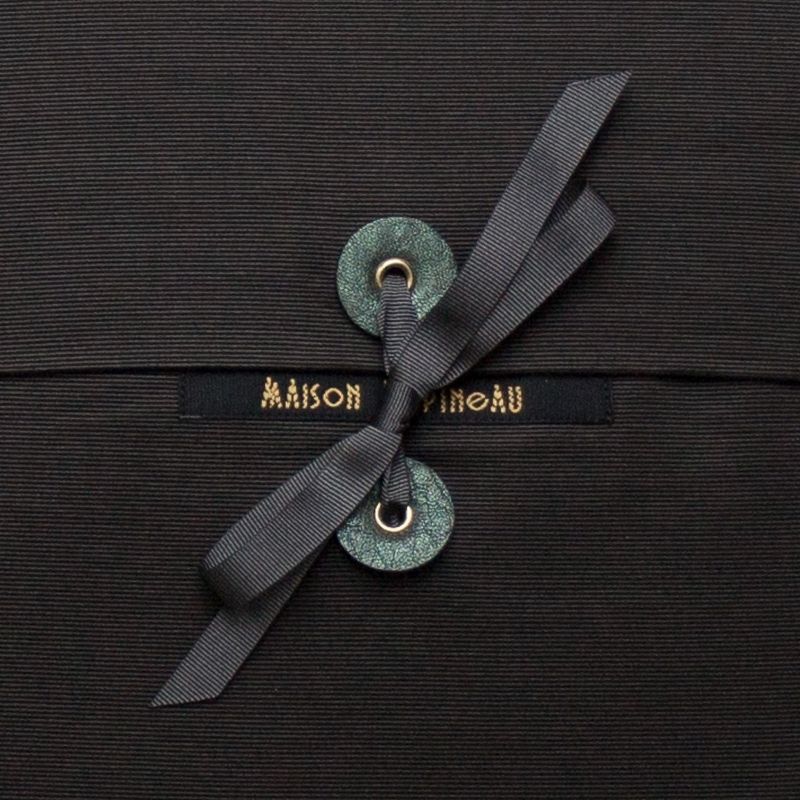 Charcoal cotton ottoman and the Maison Popineau signature: 2 green metallic leather tabs with golden grommets and black grosgrain ribbon.